Earn $5.75 in Rewards credit (575 points) What's This? 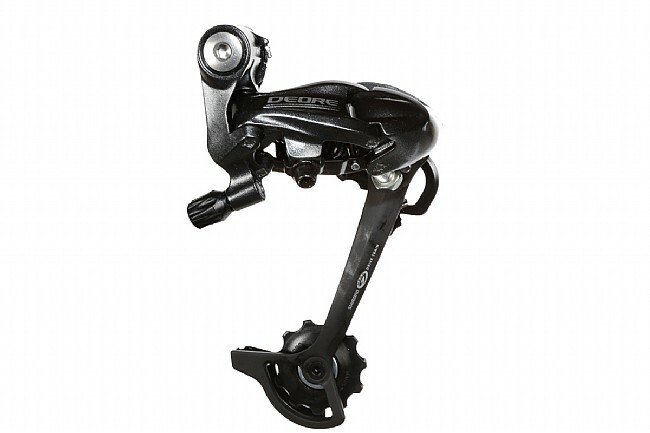 Shimano's Deore RD-M591 Long Cage Rear Derailleur is a bulletproof option for 8 or 9 speed bicycles. It features a light shift effort and Shimano's Double-Servo-Panta mechanism for quick, clean gear changes every time. Aluminum body construction with steel plates. 34T max sprocket. 22T max front difference. Top-Normal operation. Available in black (not pictured).